A sketchbook page of mine from last years skechbook. I often find in my little black book I carry around it is easier to draw a prayer than write one. Here is one such example. 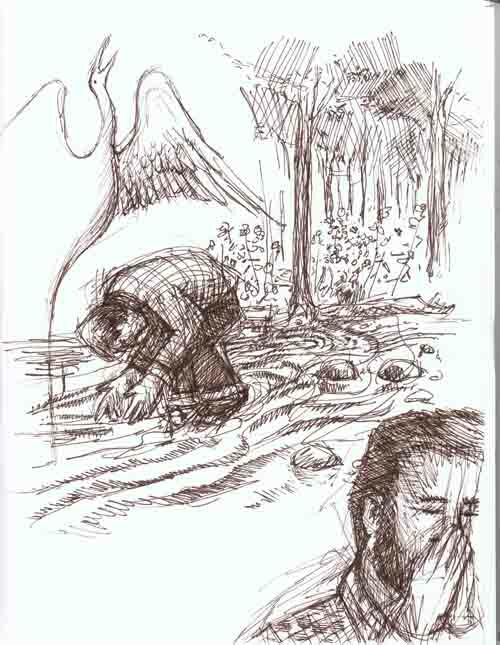 This entry was posted in Thoughts and Sketches and tagged drawing, drawing a prayer, drawing as prayer, drawn swan, praying man. Bookmark the permalink.